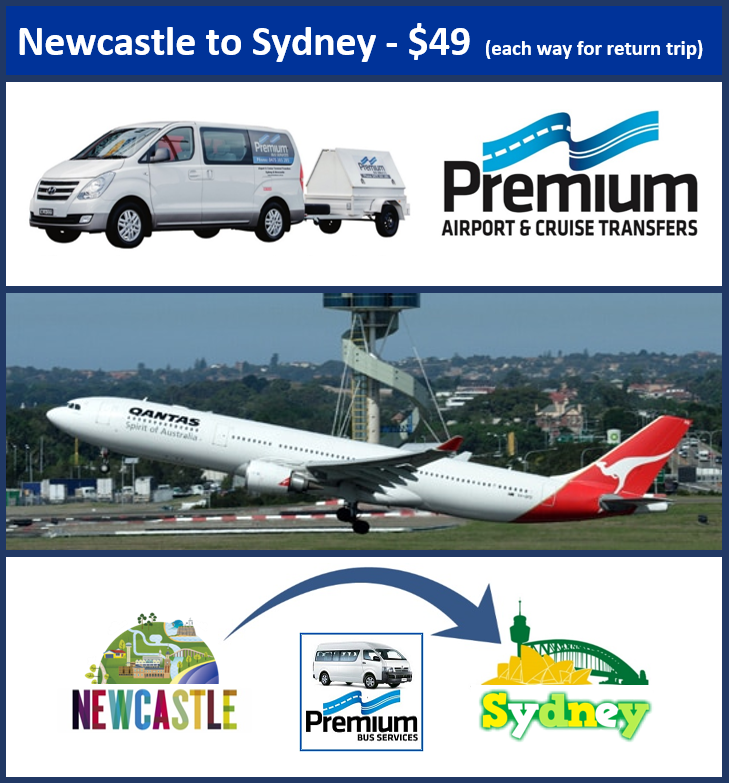 This service provides you with a seamless and stress free transfer from Newcastle to Sydney Airport. We service both the International and Domestic Airport Terminals. This is a very convenient shared service from a single pick up location (Hunter Stadium, also known as McDonald Jones Stadium). The meeting point is the Dark’s Roasters Café Van, located in the stadium car park. schedule for dates which are in high demand. - You must arrive at Hunter Stadium 15 minutes prior to your booked departure time.